Over 20 years experience in designs using ferrite cores for RFI/EMI suppression, RF filters, and Tuned Circuits. Over 15 years practical experience with Transmission Line Transformers and other matching methods. Over 20 years in designing transformers and other magnetic products. Formerly working for defence companies in the electro-magnetic fields. Over 12 years in mechanical designs of transformers, inductors, chokes and coils. Expert at designs using Solid Works and Autocads. Over 10 years in switch mode power supply designs. Expert with transformers using PI chips. 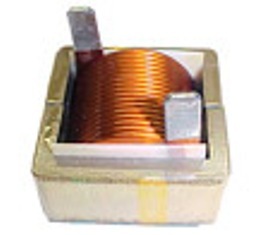 We also have several engineers with Phd in power electronics with at least 10 years of experiences in designs of transformers, inductors, chokes, coils, and switch mode power supplies.